PCs are marvelous tools, aren’t they? 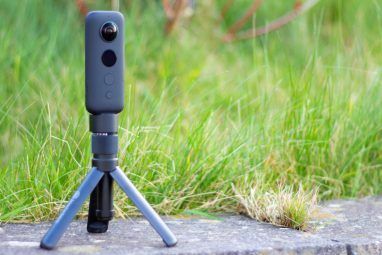 They can do so much for us, but they’re hardly the user-friendly home computers promised in science-fiction, which can follow any voice command and perform self-maintenance. It would be nice, at least, if your PC could at least do some things on its own. How about automatic weekly disk defragmentation or disk cleanup? 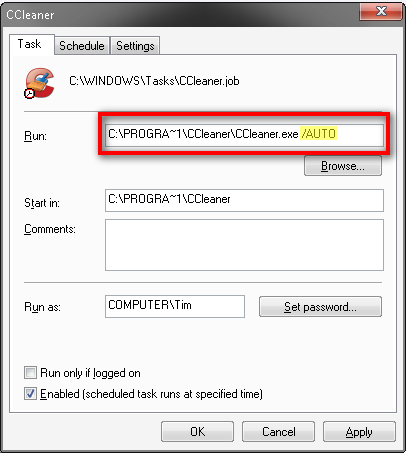 Here’s how to use Windows’ Task Scheduler to run desired programs automatically at preset time. 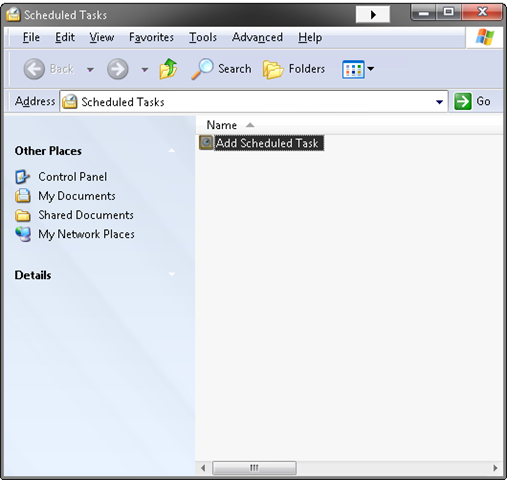 An overview of Task Scheduler is in order. Open it from Start Menu > Programs > Accessories > System Tools > Scheduled Tasks. 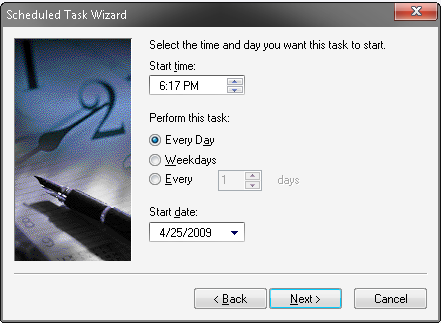 Double-click “Add Scheduled Task” to open the Wizard. Your first step is to select the program to be run on a schedule. For this example, we’ll schedule one of MakeUseOf’s favorite Windows programs, CCleaner, to perform automatic system cleanup. Download it here. You’ll next choose the day and time when to run the program. For a disk-cleanup tool such as this, running daily or weekly should be just fine. I’m scheduling CCleaner to run at 6:17 PM every day. 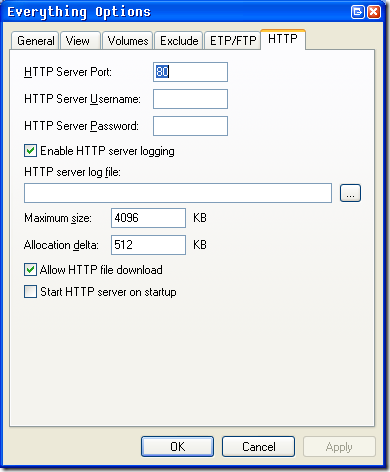 Next, name and provide the password for the Windows user account which will run the program. At the next step, select the checkbox to open the task’s advanced properties. Now, looking at how this task is set up, not much is going to happen on schedule, except that CCleaner opens. To get CCleaner to do its thing, we’ll need to add some command-line arguments, or “switches”, to the Run line. Depending on which program you’re wishing to automate, this is where things start to get different. To find out what switches exist, if any, you may check the program’s documentation and help files, or just Google it. For CCleaner, adding “/AUTO” to the Run line will have the program perform a disk cleanup silently and in the background, then close when done. Let’s go back to the task properties, where I’ve added the switch to the Run command. After hitting OK, CCleaner will run on your specified schedule. 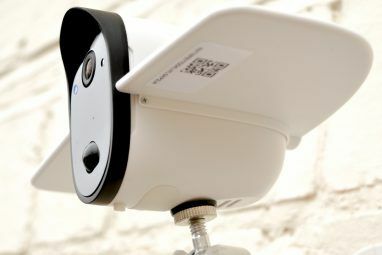 There are other solutions to run programs automatically on a specified schedule or in response to a system event. What are your own favorites? 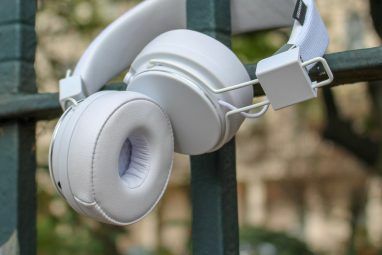 Give us some ideas in the comments. Explore more about: Computer Maintenance, Windows Task Scheduler. I want to run a YouTube downloader in off peak. when the program runs a dialog box asks if you want to Download - Remove - Postpone. The program stops at this point waiting for input before continuing the downloads. How do I get it to continue past this dialog box. Ivan, I know of a couple workarounds. If you check the "Run only if logged in" box in the task scheduler, it will run w/o a password, but like it says, only if you're logged in. The second is a registry edit. Go to http://www.kellys-korner-xp.com/xp_tweaks.htm. Scroll down to line 67: Run Scheduled Tasks w/o PW Home. Click on Home, the instructions to use VBS Files at top of web page. This is says it's only for XP, but it might work on Vista/win7. I STRONGLY recommend that you backup your registry first. i just tried it but i dont have a password for my user and it says that you need a password, so the program didnt run, Anyway to make it work without a pass? Well I tried it in Vista, I don't know if its the same, but if you could write one for Vista that would be awesome. But I hope it's the same and I hope it will work! I may be wrong, but unless the writer is using a theme in XP, those screen shots look very much like Vista windows. You are wrong :P It is Most likely Windows XP Pro. Windows Vista has a completely different interface. Plus windows Vista Task Scheduler is 100 percent different, so that gives it away also. Plus there are no Vista Icons, those are all XP Icons. Don't worry either, I understand, one of my good friends had never used Vista before and right now is just currently starting to use Vista and when switches to Vista I will be switching to Windows 7, hahaha. I can't go back to using XP anymore, just can't It is impossible. 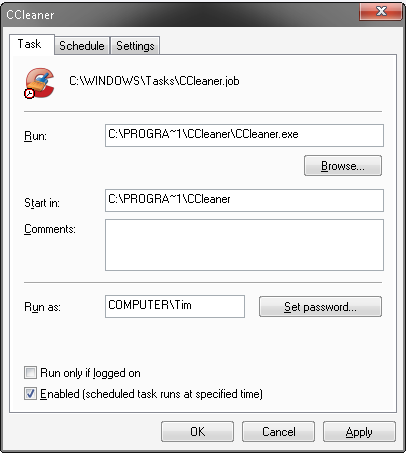 As familiar as I am with Task Scheduler and CCleaner, I never thought about using them together. This is an excellent tip which gives me other ideas due to the fact that I am a clean freak when it comes to my computer(s). every how many days should be done? I'd recommend doing it about once a month.